Kakwa Provincial Wilderness Park, Spirit Lake, Dot Falls, Iron Mountain and Purgatory Valley were all named by Everett Alton Monroe or were part of his legacy. Monroe was born in 1917 on his parents' Mountainview homestead near McBride, British Columbia, where the Fraser River meanders between the Cariboo and Rocky Mountains. Monroe carved a home in the shadow of the famously inhospitable Canadian Rockies. His outdoor skills, honed by years of thriving in the wilderness, were taxed when his courageous and steadfast beliefs made him a celebrated, yet reviled World War II resistor. Everett escaped his military captors on a train full of armed guards to find his way back home to his wife and newborn child. He learned from infancy to cherish his beautiful wilderness surroundings and his eight children inherited his love of the outdoors. 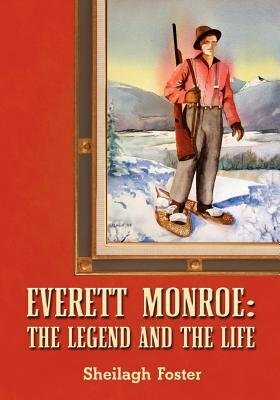 Everett Monroe; The Legend and the Life weaves seemingly insurmountable hardship, pioneer survival and the thrills of wilderness adventure into a colourful and action-packed account of his life. It also introduces us anew to the beauties of this rugged land.